After a 4 1/2-month lockout, after all the legal posturing by the NFL owners and players, Vince Wilfork wasn't quite sure what to expect Thursday morning.<br><br> And then the New England Patriots took the field behind Gillette Stadium for their first practice of the season.<br><br> They were greeted by a huge cheer and ovation from the 3,000-plus fans who filled the bleachers and hill around the field. FOXBOROUGH, Mass. – After a 4 1/2-month lockout, after all the legal posturing by the NFL owners and players, Vince Wilfork wasn’t quite sure what to expect Thursday morning. 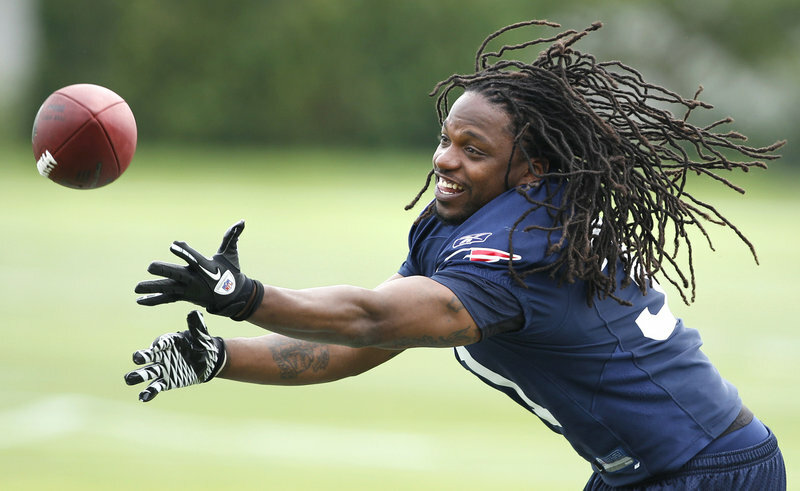 And then the New England Patriots took the field behind Gillette Stadium for their first practice of the season. 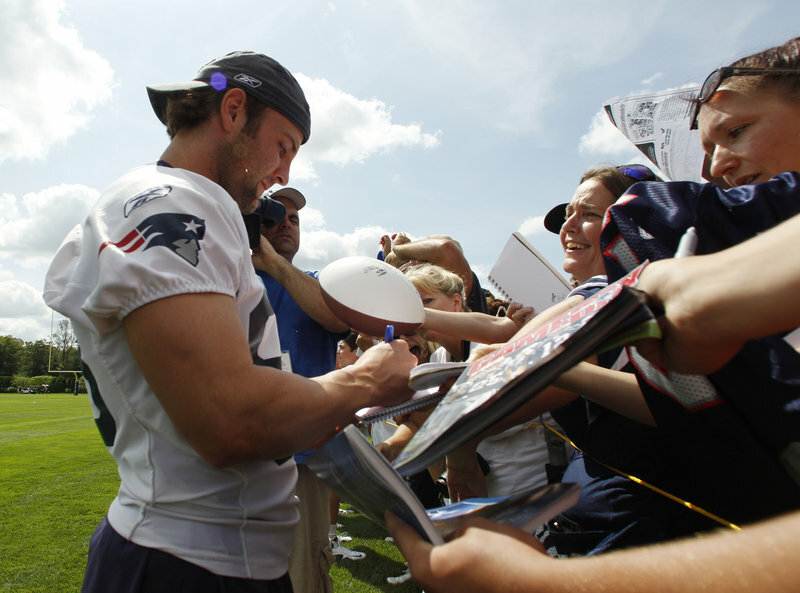 Wes Welker and many of his teammates took the time to acknowledge the fans who braved the sun and made sure they were around for the first day of training camp after the league’s protracted lockout. They were greeted by a huge cheer and ovation from the 3,000-plus fans who filled the bleachers and hill around the field. The fans were there because, well, this is football. This is the NFL. This is the Patriots, one of the league’s premier franchises and a perennial Super Bowl contender under owner Robert Kraft, Coach Bill Belichick and quarterback Tom Brady. “I’m a football addict and I love it,” said Matt McGarry, who made the trip from Norwell, Mass., with his 1-year-old son, Danny. The two found one of the few shaded areas at the field and watched from a hill, young Danny comfortable in his stroller. McGarry grew up in Portland and graduated from Cheverus High in 1992. His love for football — and the Patriots in particular — began when he was about 6, watching the then-woeful Pats on television. “Even though they were terrible, I’ve been a fan ever since,” he said. McGarry is a season-ticket holder and wasn’t going to miss the first practice. That sentiment was shared, it seems, by everyone watching the team walk through drills and formations. Matt Cotter and Keri Fitzpatrick of Mansfield, Mass., had their 6-month-old daughter, Avery, dressed in a pink Tom Brady jersey. “It’s just good to see them back at work,” he said. “We realize it’s a business. And it has to be run right. The fans didn’t even seem to mind that the first practice was just a walk-through, without pads. Peter Miller of Topsfield, Mass., arrived wearing a Sanford Mainers baseball cap. His family has Maine roots and his brother, David, still lives in Sanford. “I love football. I’m a fan of football,” he said. “I knew football would be back in some point in time. The Patriots seemed to realize they have some special fans. After the morning practice ended, every player — including Brady — walked to the stands and signed autographs for five minutes. In the past, maybe a player or two would sign.